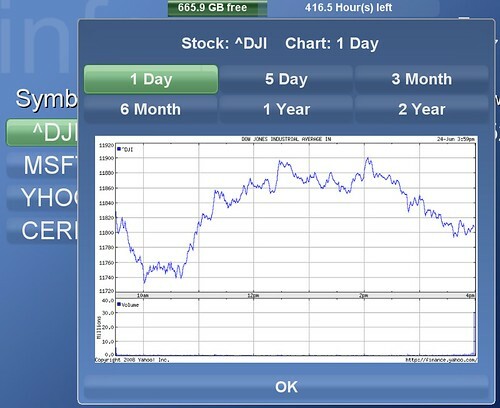 You sit down on you couch, fire up the HTPC TV and click on Your Stocks Plugin from the HTPC menu. 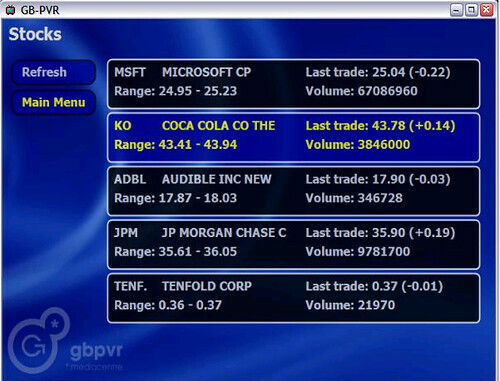 You can now get a snapshot of your selected stocks and indexes for the day right from the 10-foot interface using a new plugin for the SageTV HTPC software named JVL Stock Manager (named after the username of the creator jvl711). There’s also a Stocks Plugin for GBPVR for users of the GBPVR HTPC Software. 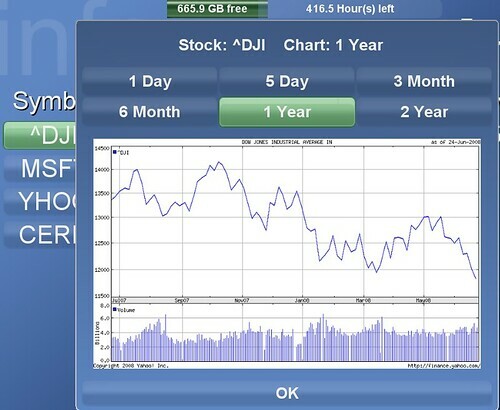 When pulling up the stocks, the data for each stock is retrieved in its own thread so the app is still responsive while waiting on the data. The GBPVR plug-in is skinable with the look, colors, fonts, positions, shapes, etc. all pulled from skin file. The data displayed is configurable as well. Another option is the old Stocks Plugin for the stagnant Beyond Media HTPC front-end software program by Snapstream. 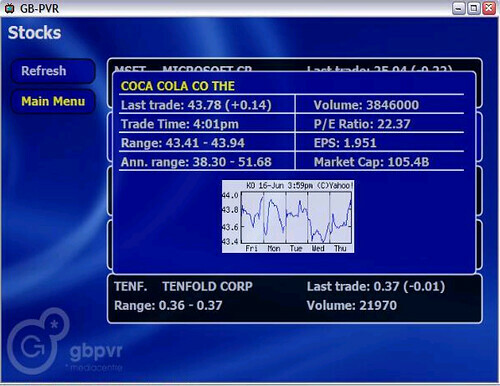 There used to be a MCE plugin called Stock Ticker, but it doesn’t seem to be available any more.